The five degree angled tank: This is a simple rocket fuel tank with one exception, it's top is angled at 5 degrees to allow angled attachment. I find it very useful for attaching air intakes that point directly at the air flow while the wings have 5 degrees angle of attack. I have also used it to angle cockpits down for IVA flight. The fifteen degree angled tank: The brother of the 5 deg tank this tanks top is angled at 15 degrees. Usable for attaching shuttle engines or what ever you like really. The Oxidizer tank: A simple tank in the same size as the FL-T100 Fuel Tank but containing just 100 Oxidizer. 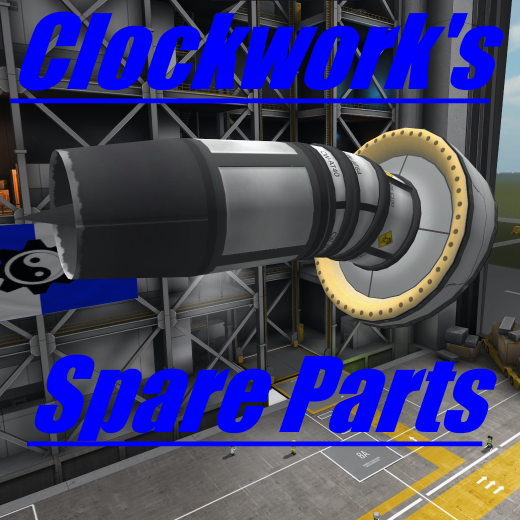 It was more useful before the space-plane update but I though I would still include it. The Air Ram and compressor: This air intake is designed to high altitude flight. It has eight times the area of a mk2 ram intake but balances this with being much larger and having 40 times the mass. That's right 40 times the mass, which is a lot to lug around space but is not to problematic for SSTO's and adds drag as well (with 0.90's bad Aero dynamic system). It's best property is parts number reduction. Large fifteen degree angled tank: Big brother of the fifteen degree angled tank. This one is for mounting all those 2 meter engines or circular stations.